These pink beauties are so delicious on a crusty bread thick sandwich or as a garnish on a taqueria style taco....I often find myself just snacking on them as I do pickles. 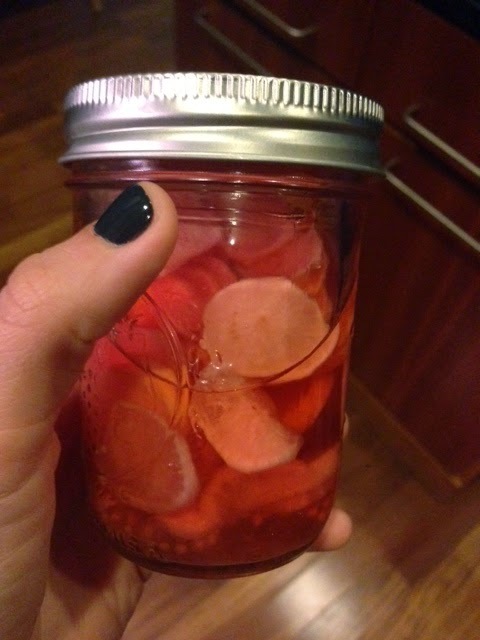 If you are a pickle fan, try these for your next adventure in canning. 1. Bring the vinegar, water, salt, honey, mustard seeds, and pepper to a boil. 2. 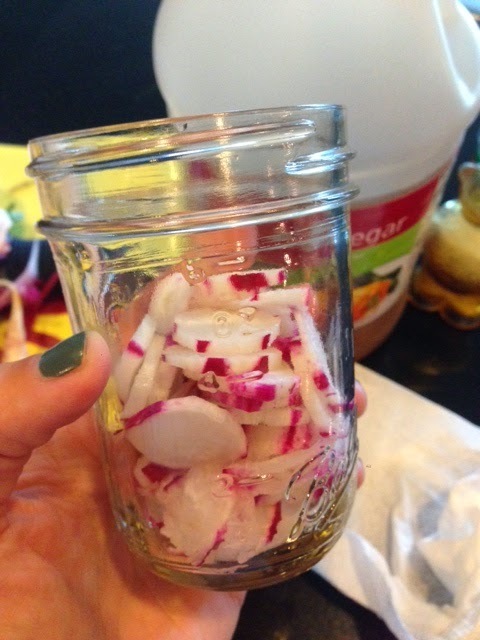 Layer the radishes and garlic in 2 half pint jars. 3. Pour the hot liquid carefully and evenly between the two jars. 4. Seal jars and place in refrigerator. 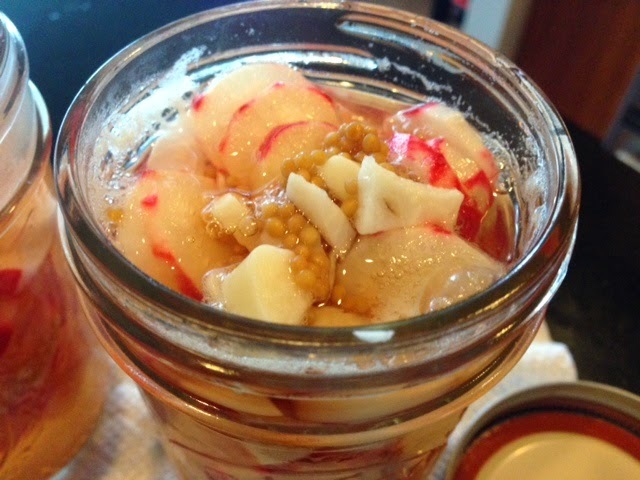 Radishes are ready to eat after 48 hours. 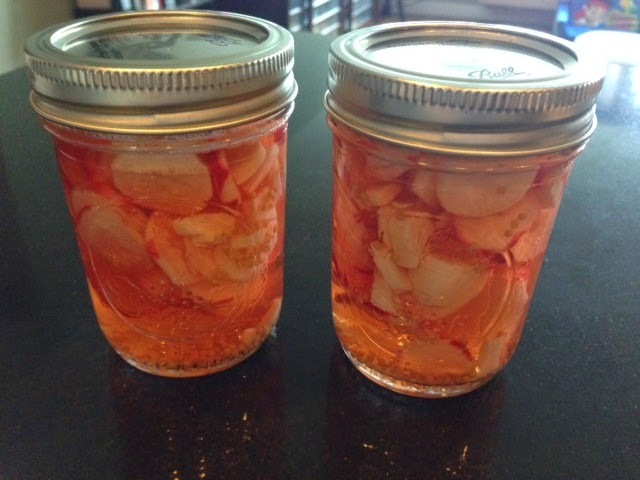 They will turn a bright pink color and keep in the fridge for up to a month.